Hobie Cats have introduced millions of people to the joy of sailing and, in the process, changed the landscape of water sports around the world. Sailing stirs something in a person’s soul. Catching the wind in a sail appeals to a broad spectrum of outdoor enthusiasts—most describing the activity as something close to a spiritual experience. Some find tranquility quietly gliding along placid waters; adrenaline seekers, however, aim to tame the swells of the ocean. Whether for exploration, trade or recreation, humans have used wind and sails to navigate the deep waters of our planet for millennia. 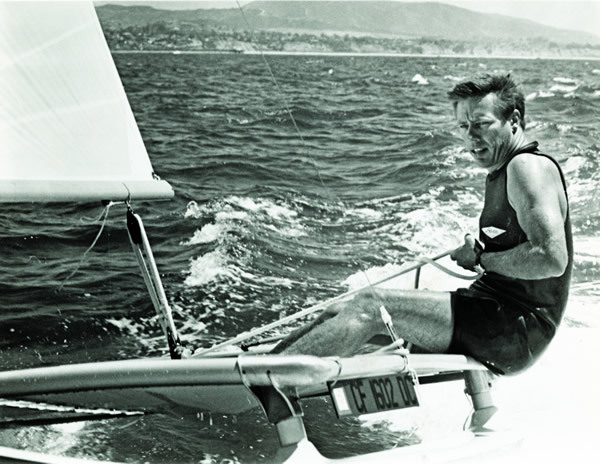 During those thousands of years, there have been many design improvements in hulls, sails, masts and riggings, but a major change occurred in 1967 when Hobart “Hobie” Alter, a pioneer of surf and sails, introduced the world to the Hobie 14. The catamaran—with a uniquely designed hull and mast that could be maneuvered through or with the surf—changed the sport forever. Ontario, Calif., Alter and his family spent many sunny weekends at their summer house in nearby Laguna Beach. There, his love of water sports grew. When surfing took hold of the California coast in the 1950s, young Alter was at the epicenter. 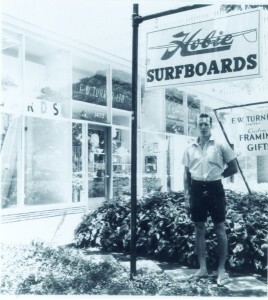 He made a name for himself crafting and selling 9-foot surfboards from balsa wood, out of a small shop opened in 1954. Three years later, he teamed up with his friend, Gordon “Grubby” Clark, to produce some of the world’s first fiberglass and foam-core boards. In addition to revolutionizing beaches with boards that Sports Illustrated dubbed the “Cadillac of the surfing world,” Alter also helped evolve the skateboard industry with the Hobie Super Surfer skateboard. He also hosted a competition at one of the world’s first skate parks. Like he did for surfing and skateboarding, Alter also entered the world of sailing with an idea of creating something better than the market provided, continuing to seize opportunities to improve the way people enjoyed the water. While at a beach party, Alter and a group of friends started talking about sailboats and drawing boat designs in the sand. In a matter of minutes, they found themselves inventing a prototype based on the Polynesian twin-hulled catamaran. 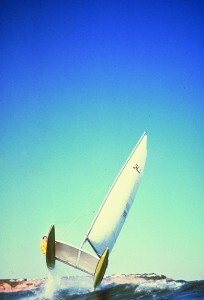 The Hobie 14 was born a few months later. Two years later, the company launched the Hobie 16—a 16-foot, two-person, double-trapeze fiberglass model that has become arguably the most popular catamaran ever manufactured. Since then, the Hobie company has continued its founder’s tradition of creating dozens of user-inspired, well thought-out products to help others play in the water all around the world. As the company’s influence has spread across the globe, Hobie’s enthusiasts have followed. Owners of the Hobie Mirage Adventure Island and Tandem Island sailing kayaks can connect via the Hobie Island Club, an online group that introduces these sailors so they can share their love for the boats and adventure. 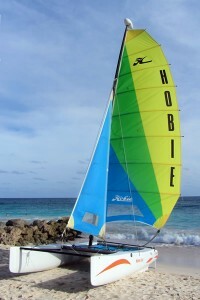 Interested owners can sign up through the Hobie Cat website (hobiecat.com). In addition, the site features a calendar of events for sailors (and novices) to test their skills, witness spectacular feats on the water or socialize with others with the same passion for the nautical lifestyle. Those along the Georgia coast can take to the water using Sea Island’s expanding fleet of sailboats, including three different kinds of Hobie Cats—the Hobie Wave, Hobie Getaway and Hobie 16. The area’s surrounding waters are an ideal place for knowledgeable sailors to explore and for novices to learn, with the help of the resort’s Hobie Cat sailing lessons. “From about 1 p.m. to 6 p.m., the sailing is superb,” says Donnie Drawdy, Sea Island’s waterfront operations manager. After the lesson, Tobler adds that almost all first-time sailors leave the beach feeling exhilarated, empowered and confident in their newfound skills on the Hobie boat. He also sails guests to an area on the southern edge of the island showcasing diverse terrain, including wetlands and dunes. And if the tide is right, Tobler sails north to Little St. Simons Island, where a stretch of untouched, natural land offers the opportunity to be awed by lush surroundings. The magnificent views that can be found by Hobie Cat don’t stop there. Two-hour, guided sunset cruises are designed to take a guest’s breath away, and they don’t disappoint. These expeditions go between Jekyll Island and Sea Island on St. Simons Sound. “We watch the sun sink below the beautiful Sidney Lanier Bridge,” Drawdy says. “The sky is simply magnificent reflected on the water—bright oranges, fiery reds and sometimes splashes of purples and pinks. 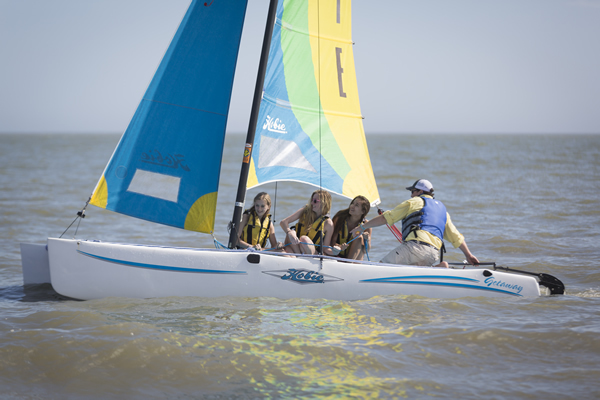 Sailing enthusiasts of all ages take to the water on Hobie catamarans at Sea Island. Hobie Alter’s genius revolutionized multiple industries with innovative products like surfboards, catamarans, powered craft and radio-controlled model gliders. 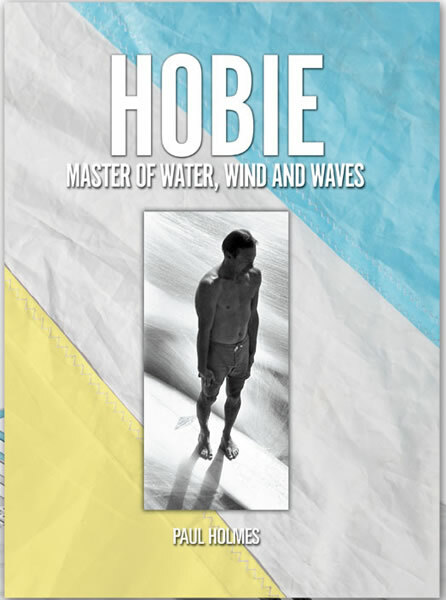 A 2013 book by Paul Holmes, “Hobie Master of Water, Wind and Waves,” gives an inside look at the incredible life of the California surfer whose prime motivation was always “to build them a toy, and a game to play with it.” The story of Hobie, illustrated with more than 500 photographs, is available at online at hobie.com.